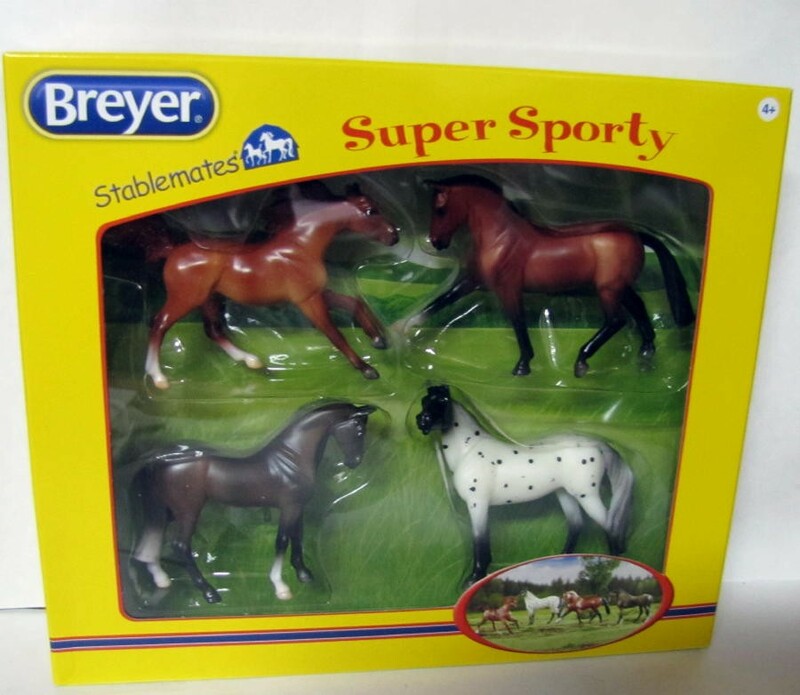 Breyer Stablemates Super Sporty set features 4 popular horse breeds: Appaloosa, Arabian, Hanoverian, and Thoroughbred. 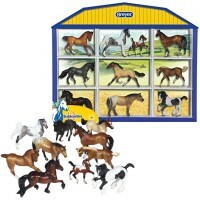 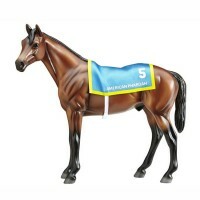 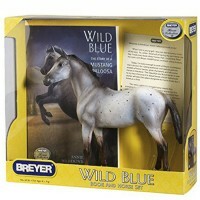 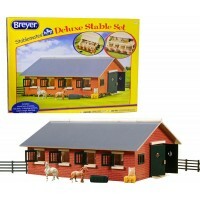 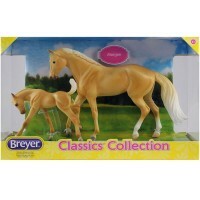 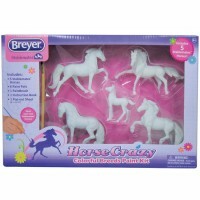 Breyer is the most popular brand for the young horse lovers. 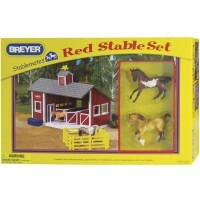 This horse play set by Breyer is a great start to play with horse characters or to add figurines to any Stablemates stable, truck, or corral. 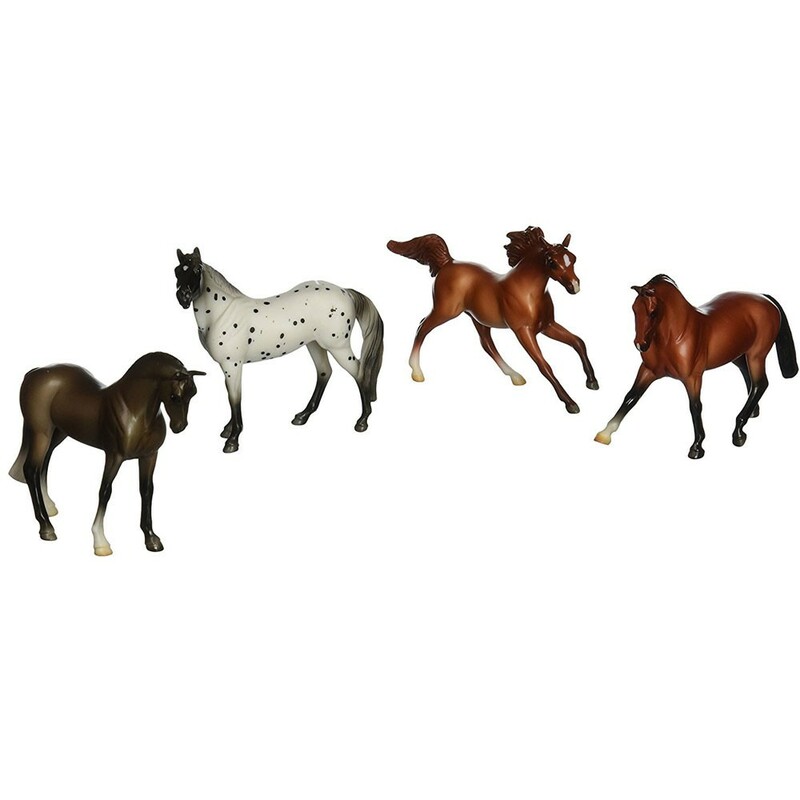 Super Sporty 4 Stablemates Horse Figurines Set features 4 popular horse breeds: Appaloosa, Arabian, Hanoverian, and Thoroughbred. 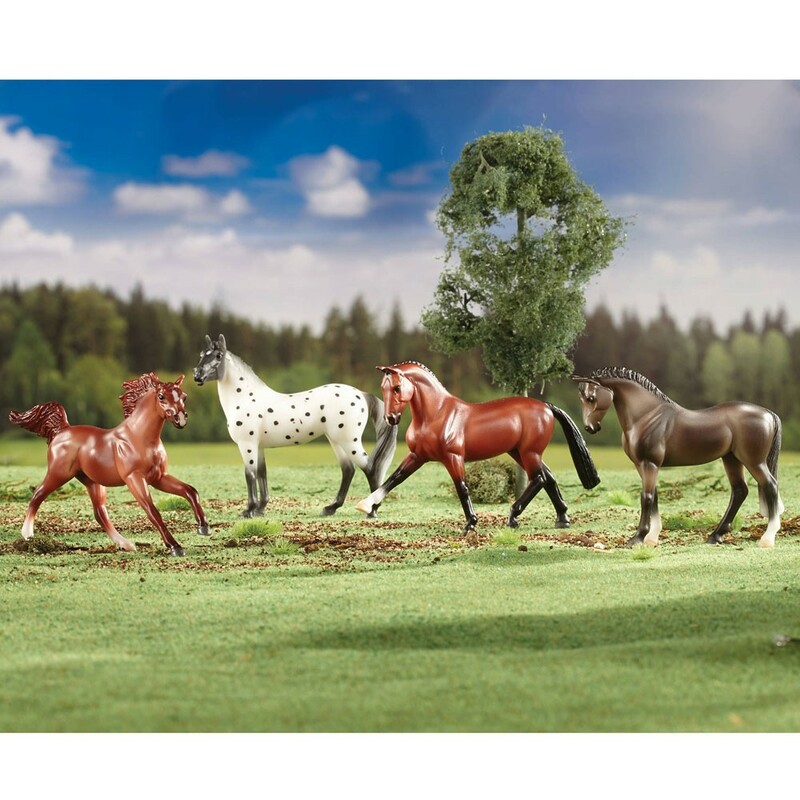 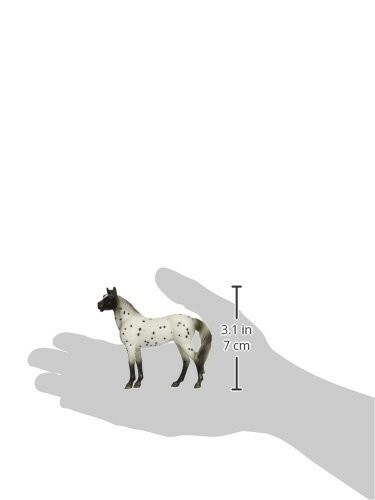 This Stablemates horse breeds toy set includes 4 horse figurines that you can play with at home or on-the-go. 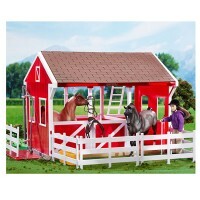 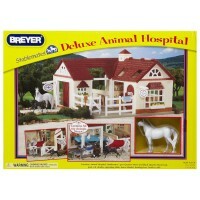 If you like to add an animal hospital, horse stable, or horse transporting truck to your play horse farm find more Breyer's toys at Educational Toys Planet. 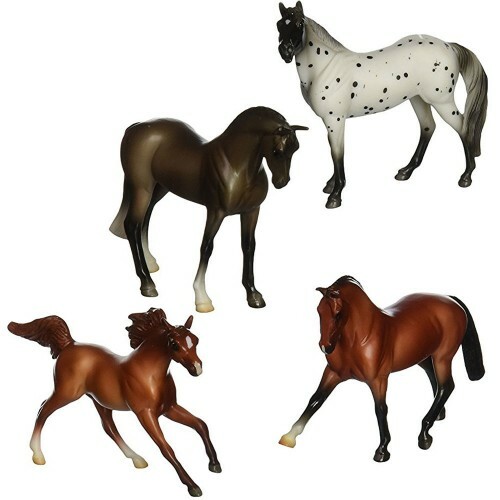 Take this Stablemates sport horse collection on your next trip or class show-and-tell project to present horses that you like to your classmates. 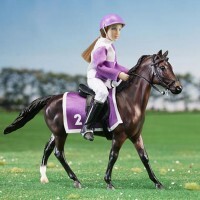 Dimensions of package 1.75" x 9.75" x 8.25"
Write your own review of Super Sporty 4 Stablemates Horse Figurines Set.